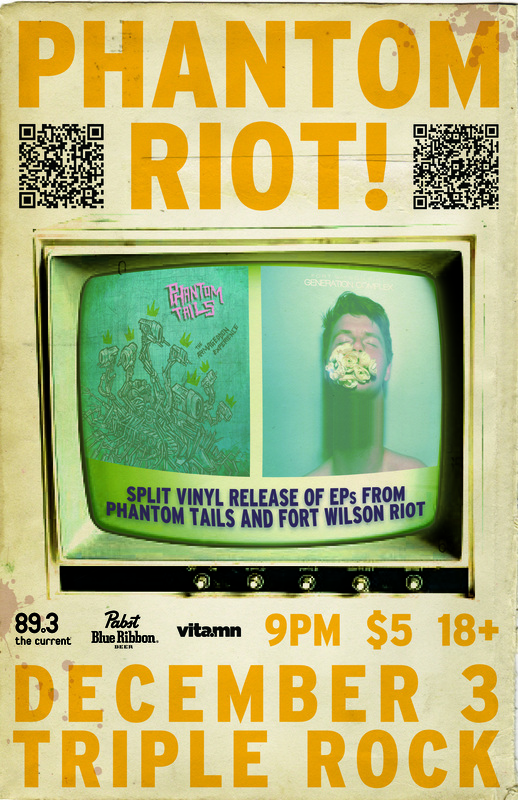 Fort Wilson Riot – the Minneapolis- based duo of Amy Hager and Jacob Mullis have no shortness of ambition, having put out two EPs and two full-length records in five years. Amy\”™s soprano floats over Jacob\”™s growl and yelp, but there is nothing easily classifiable about the Fort Wilson Riot sound. From the crashing guitars and keys, to the blasting uplift of trumpet and harmonica lines to the dancing thump of electronic drums, Fort Wilson Riot are an energy that grabs hold and takes you on a journey. These songs don\”™t stray far from the gritty mix of heavy drum samples, spacey keyboards, and unexpectedly catchy hooks featured on their 2010 debut, Songs of the Hunchback Whale, but go further to establish their \”˜deep space doom funk\”™ sound. The new songs draw from apocalyptic landscapes and natural disasters as depicted in film and art and then mixed with rhythmically dynamic negative space and Latin polyrhythms. Recorded and mixed by Ross Nueske and mastered by Greg Reierson of Rare Form Mastering. 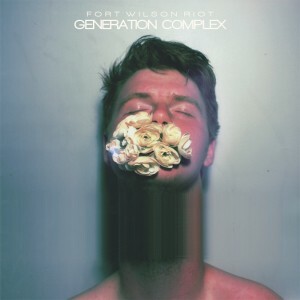 Live versions of For All The Little Things and the Generation Complex songs were released previously as part of Fort Wilson Riot’s Daytrotter session, and all the tunes have been developed and honed through two years of touring. 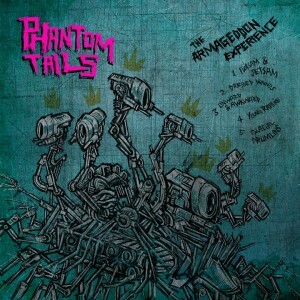 Generation Complex was recorded in borrowed houses and friends’ basements, including Phantom Tails’ home and was mastered by Rob Schlette. 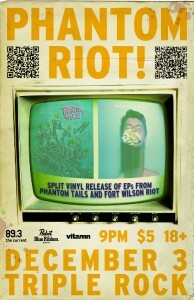 The split vinyl will be released at ‘Phantom Riot’, a double-headliner all-out party at the Triple Rock Social Club on Saturday, December 3rd, 2011. The first 24 fans to buy the vinyl at the show get a free Pabst Blue Ribbon! My magic 8-Ball tells me that there will be a Steampunk Themed Burlesque and Fashion Show at Station 4 in St. Paul, MN on Wed, 14 July 2010. There are very few facts to back this prediction up. 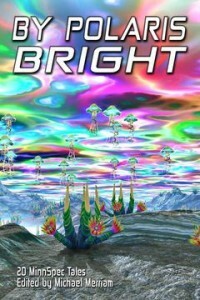 The listing at Station-4’s website only shows Abby Rhodes’ Psychedelic Spectacle starts at 8PM.Vita.mn agrees. I suggest you pay attention around 10:15 to catch the fashion portion of the show, but if the 8-ball is correct, there should be plenty of steampunk a go-go to feast your goggles on. If you know something about this event that the 8-Ball doesn’t, please drop it in the comments. You can decide for yourself on July 6, 2010 when their CD Sounds of the Hunchback Whale lands in stores. Then, on Friday, 9 July 2010 the Phantom Tails take the stage at the Hexagon Bar in Minneapolis, MN for their CD Release Party. 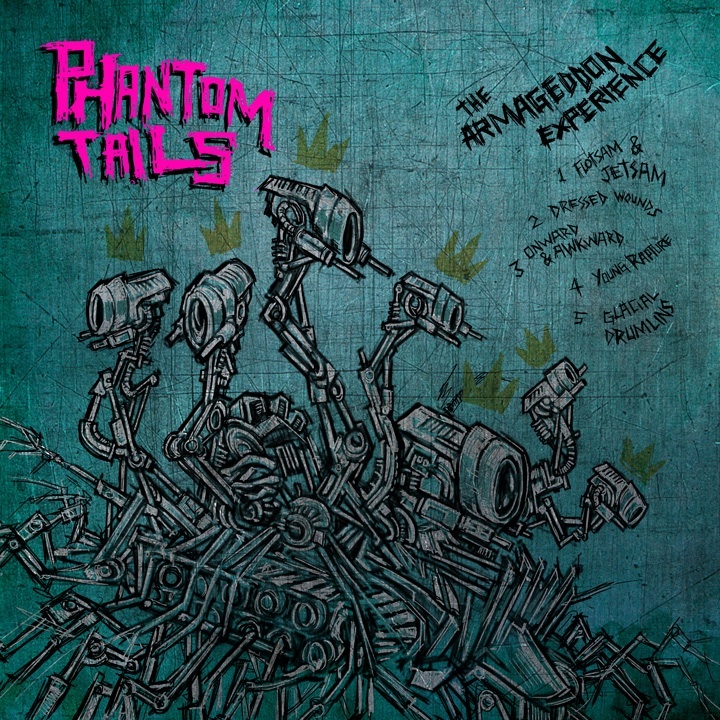 If you can’t wait, just drop in on the Phantom Tails MySpace page and give a listen to some mid-fi, electronic-spiced, grungy-guitar goodness. There’s also some Phantom Tails stuff on youtube. Touting itself as “The Largest One-Day Festival in the Midwest” Grand Old Day is best described as miles and miles of bands, art, beer and fair fare…and nowhere to park. My suggestion is to go there NOW and find a parking spot and hold it until the festival on Sunday. If you’re the entrepreneurial type, grab several parking spots and auction them off when Grand Old Day kicks into high gear. Check the online schedule of events here. For those looking for a pdf of the event schedule to print out, some idiot thought it would be a good idea to place the pdf at some sucktasticly slow third-party website where you can’t download it without registering. I know. You’d probably be wiser to download the exact same pdf right here: Grand_Old_Day_2010_Event_Guide Looks like some kind of print sideways and fold it over thing. Don’t blame me, I just hack here. 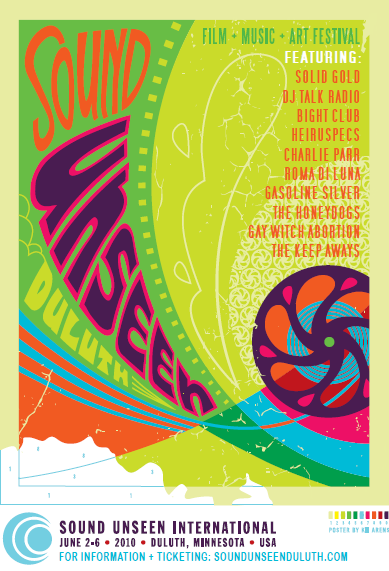 This year’s Sound Unseen International simply must be seen. Five days of film and music starting today, June 2nd and runs through the 6th. Cool bands. Cool films. Cool films about cool band. Cool films about cool bands with cool band members hanging out in the lobby, scarfing all the free beer and apps. I fear this much coolness in Minnesota in such a short period of time might cause it to snow in June. Good thing they’re holding it in Duluth. Since Low’s debut in 1994 Philip Harder has been shooting cinematic 16mm films for the band: a boat on frozen Lake Superior, Baron Von Raschke with red balloons, a room collapsing in slow motion around the band… Several music videos and film shorts later all Harder’s raw footage of Low, 1994 to 2010 has been re-edited into a film with original on-camera sounds. Rarities, banned clips, and unfinished Low films were unearthed. This is not a compilation, not a documentary- but it definitely documents the Low experience. Perhaps Low’s version of a musical- of sorts… June 6th, closing night of Sound Unseen Duluth, NorShor Theater will once again be turned over to cinema for the “Low Movie”: a sneak preview in Low’s hometown! Maybe you can help us find a title for the film. Just accept that it’s going to be amazing, and you might want to take the better part of next week off from work to contemplate it after you see experience it. Following the film, please join us at the Historic Greysolon Plaza – this time downstairs in their unique Moorish Room. Festival guests will be treated to a feast for the eyes courtesy of featured director/filmmaker Philip Harder\”™s film/art installation, in addition to complimentary appetizers from Black Woods Catering and free Schell\”™s beer and drink specials all evening. Entertainment for the evening comes from a band that has helped define the Twin Cities music scene, with 10 studio releases and over 16 years under their belt, we are more than proud to announce our special musical guests of the evening: The Honeydogs. Ticket info for all events is here. The program doesn’t warn you, but be careful – Gay Witch Abortion’s music KILLS angels and incapacitates those pure of heart. You just might not be evil/wicked/cool enough to listen to them. If you think you are, then you probably aren’t. Its kind of like pointing out that Water = Wet, but in a sea of singer-songwriters, Suzanne Vega is the best by far. There’s very very few people on this planet who deserve to be called a ‘musical genius’, and fewer still who would dare to make a stop here in Minneapolis, but Suzanne Vega is coming to town next week for 3 shows at the Dakota Jazz Club and Restaurant. Aug 24 through the 26th. 7th Street Entry – 701 1st Avenue North, Minneapolis. An impossibly amazing set of performances by the female-fronted bands attending the second Flight of the Valkyries show at Station 4. It seems that every time there’s an event at Station 4, I get to the event late. 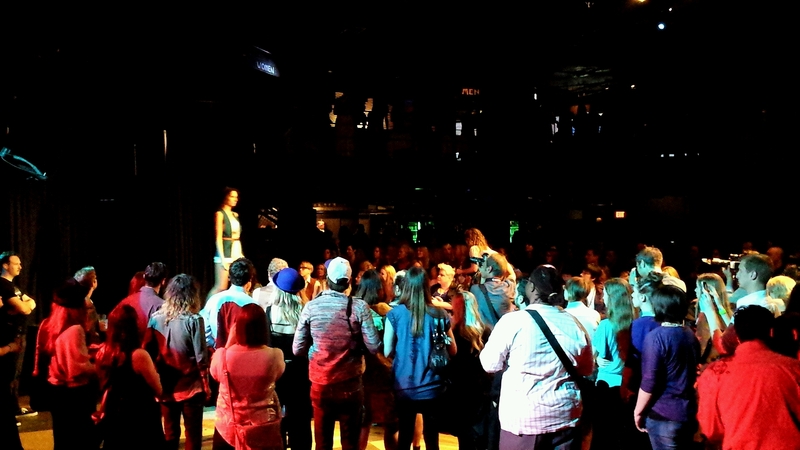 The only exception was the Jagged Spiral show a couple months ago, which is a good thing, because I was in it. Here, I thought the event started at 6PM, but it actually started at 3PM, and so I managed to miss Aria Sharp, Something to Fear, Earthen and Dendura. My loss. South American Female Fronted Power Metal? Hell yeah! Shadowside was astonishing and beautiful onstage. Check out their myspace page to hear a band that pushes all the power, energy, and intensity of Iron Maiden into their music. I can’t think of a better description. The nine-string bass guitar was a trip! I have to admit, their music was a bit over the top for me, chaotic and hard to get ahold of, the same way I feel about ‘System of a Down’. Each member of the band is hyper-talented, but I think they are trying too hard to be different. For me, it was like listening to three bands at the same time, but check out their myspace and hear for yourself. Now, before any of you mock my rock-hard hard-rock sensibilities because I’ve attended every Voltage fashion show…don’t be fooled. Voltage is a mash-up of a fashion show and a ‘best new bands’ night, and I’m mostly interested in the bands, but I’m all for Anna’s vision, and I want to see her succeed, so color me supportive. Just keep in mind that my own wardrobe hasn’t changed much since the 90’s so I’m not really any kind of fashion authority, and my opinion should be considered more Proletariat than Bourgeoisie. ZibraZibra – Listening to this band was like being trapped inside an Atari 2600 that was run by the Village People. I’m not saying that’s a bad thing. Their outfits were designed by Ivan Idland, and were an accurate representation of the band’s music: gaudy, stunning, and outlandish. The Haves Have It – Impressive. Think Jagged Spiral crossed with Heart. Three-piece band with female lead guitar/vocals, female bass player and male drummer. Catchy, punchy pop. Their new release “Friction” just came out last month, and I Have to Have it. I voted The Haves Have It as my pick for “Audience Choice Awards”. Maybe they’d be interested in playing a show with Jagged Spiral down the road… Their outfits by EM/MA were cut as high as the price of gasoline, and smokin’ hot. Bella Koshka – I’ve seen Bella Koshka a few times before, and purchased their aptly named debut, Slow Dancing on the Ocean Floor, so I already knew they were good. Technical problems with computer loops during the show taught them the hard way what Greazy Meal meant when they said, “…get on stage and push Play? No Way!” Funny thing is, the Owls learned this same lesson at the first Voltage show when their drum CD skipped and completely wrecked their song. Aside from the glitch, their show was top-notch. Strangely, their outfit design by Ann Alyse Clothing was kinda boring. What happened to the cool outfits they were wearing on the cover of Vita.mm? 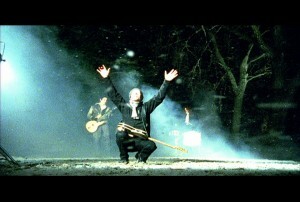 White Light Riot – The Minneapolis Darlings who made the “Best New Bands of 2006“. I hadn’t heard from WLR since they held an industry party for the record labels to come paw at them. They were by far the Best Dressed Band of the evening, looking quite dapper (and warm) in Olde English Velvet outfits designed by Elizabeth Chesney. A trip-up stole some of their energy about 5 sec into their set, but they got it back towards the end of their set. A good show. I’m told their CD recordings are better…have to check that out. Birthday Suits and only “Birthday Suits”, not “The Birthday Suits”. A two-piece band; drummer and guitarist playing minimalist pseudo-punk. While Birthday Suits guitarist made better use of the stage than Gay Witch Abortion, the guitarist’s tone and singing voice were both tinny. When you choose not to have a bass player in the band, you need something on the bottom end to hold it together. Gay Witch Abortion know this, and dial in some wicked tone on the guitar (Check out “Action Cop” on their myspace), Birthday Suits provide some overdubbed bass on their recorded works (check out “Cherry Blue” and “Flying Man Y2K” on their myspace) but their live show doesn’t, and suffers for lack thereof. I can’t recall their outfits by Dan Patrick, other than they truly were wearing clothing and not their birthday suits…. Overall, the band choices were all pretty safe, a good mix of musical styles to go with the various fashions. I would say this was the best production for Voltage yet, but since there’s only been three of them, that’s not high praise. 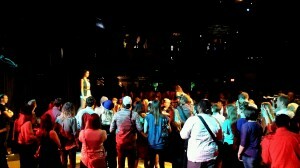 The honor is that Voltage is still going strong, and still turns a crowd and a ton of sponsors. Anna Lee knows that Voltage on it’s own isn’t enough to shake the foundations of the local fashion industry, so she’s been quick to tie it to other MNFashion events: the “Fashion Weekend” and the “MNFashion Flash” contest. Voltage is a stepping stone to an even bigger vision from the fashion maven, and it should be interesting to see how it all pans out.